Here at Le Limo we love food. We order to the office and sneak out to restaurants for lunch whenever we get a chance and we’re always looking for the next greatest restaurant in Worcester. We’ve been to Via, The Sole Proprietor, Baba and Mezcal but we wanted to tell you about a restaurant that will make our taste buds scream with delight. Armsby Abbey on Main Street near the courthouse. 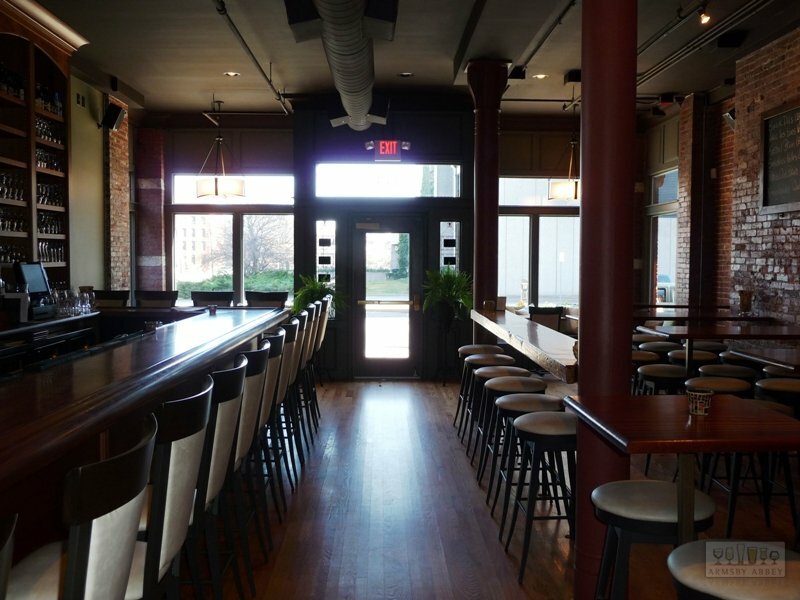 If you’re a food and beer lover, Armsby will make you cry sweet tears of happiness. With only nine tables in the old style British pub, Armsby is quaint, intimate and organic, literally. Not only does the place have a natural, rustic feel, but also, all the food is organically grown at local farms, ensuring the finest quality for its patrons. Most of the beer is local too coming from small craft breweries in New England. The bartender that served me was incredible and I was astonished about how knowledgeable she was. After pouring my beer from the unmarked row of taps (really cool) she divulged into a long story and analysis about the brew. I learned more about Belgian IPA’s just from that one beer than I have drinking anywhere else. Drinking beer at Armsby is like basking in a fountain of sweet gold on mount Olympus. It’s magical! While the beer is phenomenal, the food is by far the highlight. 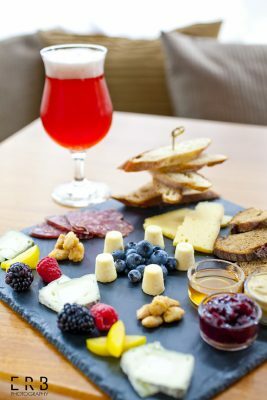 Armsby has a huge variety of cheese platters, which are paired with their different beers on tap. But the food, oh the food! Most of it’s pretty basic; sandwiches, burgers, salads, flat bread pizzas and some apps. I ordered the grilled cheese and let me tell you, it redefined my perspective on the sandwich. Made with local Gouda and white cheddar, they fill the cheesy delight with smoked bacon, spinach and the coup de gras, peaches from Tougas Farm in Northborough. Now if you’re thinking, “ew peaches that sounds weird”, you need to get out of the shadows and live a little. It’s amazing! Everything paired perfectly together and each ingredient complimented the other. The bread was golden brown and the cheese warm and gooey, the perfect grilled cheese. The sandwich came with a simple side salad of fresh greens and radishes with a lemon vinaigrette. It was perfect to cleanse the pallet, making every bite of grilled cheese feel like the first time. 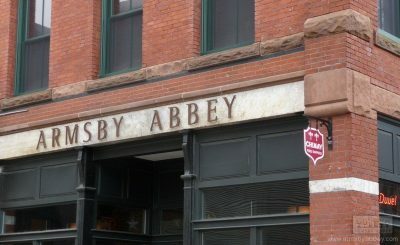 I highly recommend Armsby Abbey to anyone looking to have an incredible gastronomic experience. In my opinion it’s some of the best food for the price in Worcester. My sandwich cost $12 and was worth every penny. It accommodates all ages and anyone can find something they like. So check it out, I promise you’ll walk out with a full belly and a smile on your face!